A roofing project can take days or weeks depending on the size of your commercial building. In addition, many factors can affect your project’s progress. They include the weather, holidays, and availability of the roofing company. The availability of certain materials can affect their price. If a particular material has low availability, then expect its price to be steep. This can lead you to look elsewhere, which will take up your valuable time forcing you to spend on overhead costs. Shipping materials also takes time you could use on working on your roof. That is why we offer affordable commercial roofing in Knoxville, TN, that has low-maintenance features. We have Built-Up Roofing (BUR), which is our most economical choice for flat roofs. They can withstand UV rays and severe weather conditions. We also provide Modified Bitumen Roofing that can resist heavy traffic and punctures, reducing the need for repairs. 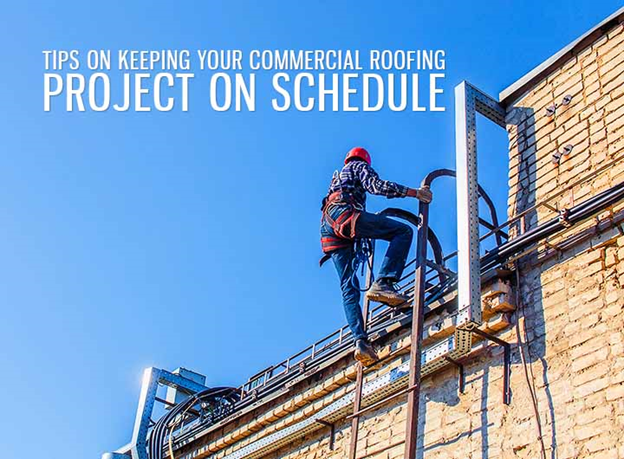 The season you choose to work on your roofing projects can affect the length it takes to finish it. For instance, warm months like spring and summer tend to be peak seasons for home improvement projects. Roofers may not be available at this time and materials may be scarce due to high demand. Be sure to ask for the team’s schedule and availability ahead of time. Roofing services are done outdoors and weather conditions can affect its progress. Scheduling your projects on favorable seasons, however, can help keep your project on schedule. You can rely on us to be available on weekdays from 9:00am to 5:00pm. We will do our best to be on time, regardless if this is a roof replacement or roof repair in Knoxville, TN. We take pride in our commitment to providing excellent customer service. When you choose to work with Innovative Roofing and Siding, you have the assurance that we will meet your needs efficiently and promptly. Call us today at (865) 688-2888 to set an appointment for your roof replacement project.